You've easily read over hundreds of blog pages, Pinterest pins, Instagram captions, and so on describing how to land campaigns with brands, right? Well, what they DON'T include in a lot of these posts (mine included!) is the process of staying sane while you check off each task associated with a sponsored post. There is a lot that goes into the behind-the-scenes of creating beautiful content with a written copy. 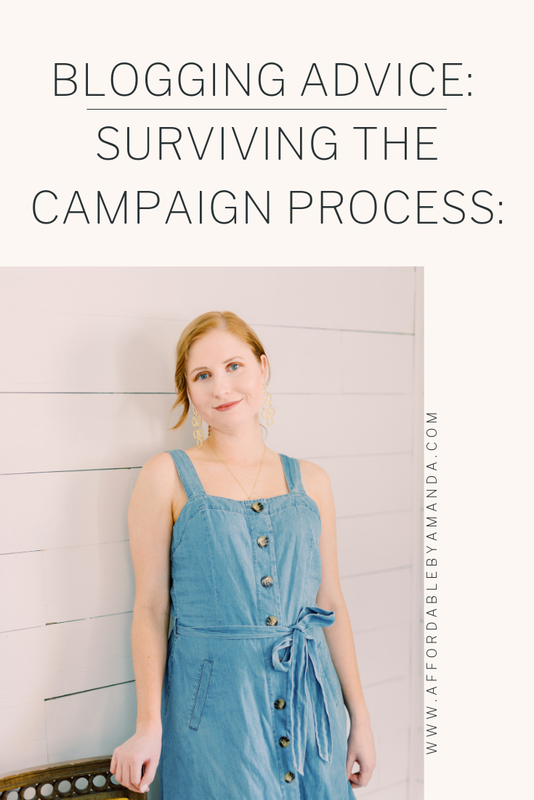 This post will cover my tips for surviving the campaign process as you land sponsored deal after sponsored deal in the blogging industry! The first step in the entire campaign process is to land the sponsored deal. Once you secure a brand deal you can look over the terms and conditions associated with the deal. The brand deals that I've landed through Influencer websites, such as Cohley and Brandbacker, do not have set "contracts". These influencer platforms are able to negotiate with brands to determine the terms on each campaign. Some of these platforms offer products in exchange for posts, while others do offer payment. If you are working directly with a brand, they will most likely send over a contract for you to look over all of the terms and payment information for the campaign. Have someone else look over these forms with you just in case. I will usually send over contracts to my blogger friends if I feel unsure about something included in the content of the contract. This may seem like an easy task, but so many bloggers forget to negotiate! The terms and conditions with your contract are specific to you. That means you have the ability to alter any part of the contract if you desire a higher rate in exchange for your deliverables. Each deliverable (a piece of content produced) should have its own rate assigned by you. For example, I charge a different amount for an Instagram post than I do for an entire blog post. While in the process of negotiating terms, be sure to account for the time and energy devoted to creating content for the brand. Basically, don't work for free. Don't leave out: photography fees, travel fees, etc. Surviving the campaign process also means you are fairly compensated for your time and deliverables. Back when I was starting out on my blogging journey, you bet I accepted every single product I was e-mailed about! Nowadays, I am much pickier when it comes to accepting sponsored content or even free products in exchange for socials. I would have to say that staying true to my "brand" and what makes me "who I am" has definitely helped me curate my own individual style and appeal that I can sell to brands to make money from all of my hard work, so you can TOO. Sign the contract sent to you by a brand after carefully looking it over a few times. I recommend breaking down the contract and taking your time with it so you don't accidentally sign a contract that gives the brand control over your content. Contracts are binding for both the influencer and the brand. If a brand fails to pay you in a timely manner for your work, you can reach out to them and see what the trouble is behind the scenes. If I don't hear back from a brand with a reason why my payment is late, I will send follow-up e-mails to the campaign managers. After I accept a campaign, I brainstorm exact content ideas to make the partnership come to life through my eyes. What's neat about working with brands is how you can take a product that everyone has access to (such as shampoo or razors) and make it stand out based on your individual taste. 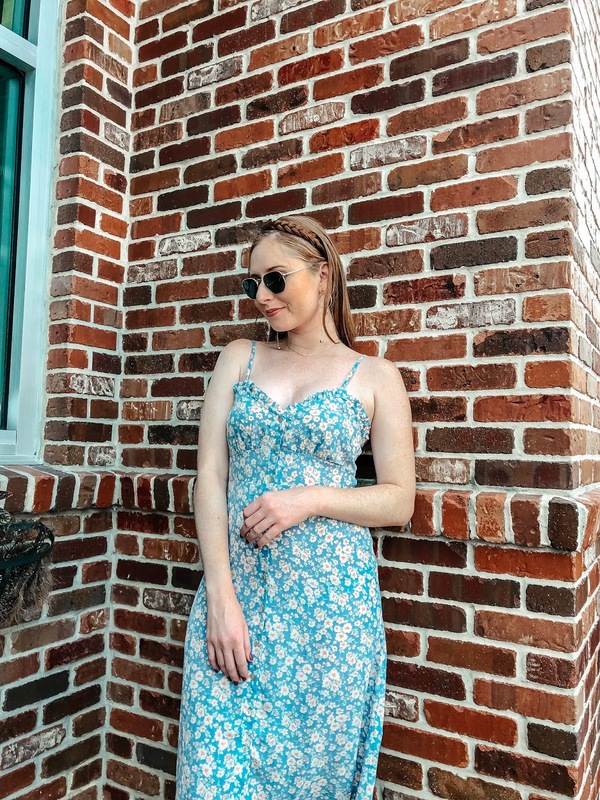 Influencers that are successful can take a simple idea and turn it into a beautiful expression of their character and aesthetic to entice their followers to check out. Ultimately, you want to brainstorm original content ideas to incorporate your brand message into the campaign to sell the product. Brands want to see a successful campaign between the influencer and the brand with real results, such as link clicks and purchases. For example, I recently teamed up with a feminine hygiene product on a campaign. I am sharing the details of this campaign next month so I will be a little vague about it for now! I accepted the campaign, the platform accepted my rates, and then the brainstorming process started in my head. I was thinking to myself, "How can I show off this product without being super obvious?" I feel like the more easily you can show off a product in a natural and organic form, the better reaction you will receive from your followers. Once you come up with your brilliant content idea, capture the idea on your camera or iPhone, and edit the photos with coordinating text, the next step is to send the content off for review. Once your content is sent over to the brand, the brand has a few days to check everything out to make sure you completed all of the necessary requirements before you hit publish. Of course, it's also a good idea to double check this for your own sake. Look at each separate requirement in detail to confidently e-mail over your content for review to give yourself less to worry about, too. I've had brands send me back NUMEROUS revisions before I was able to hit publish on anything. Don't be discouraged if you are sent back content for revision. Some brands are pickier than others, it's just the truth of the matter. It's important to have proper communication with the brand to ensure that the content you created does not go to waste, either. Have a clear idea about what the brand is looking for by doing your research and scoping out the kind of content they feature on their pages. For example, if you work with Billabong, you should most likely hit the beach and find a great location to shoot your outfit look by the water to match their feed aesthetic! The next and most rewarding part about surviving your campaign? Hitting publish on your content! Woo! Completing a campaign can make you feel all types of ways. From happiness to a sigh of relief, some campaigns leave you feeling eager to start all over again while others you are simply GLAD to be done with. Ha! Not every campaign process is "perfect". 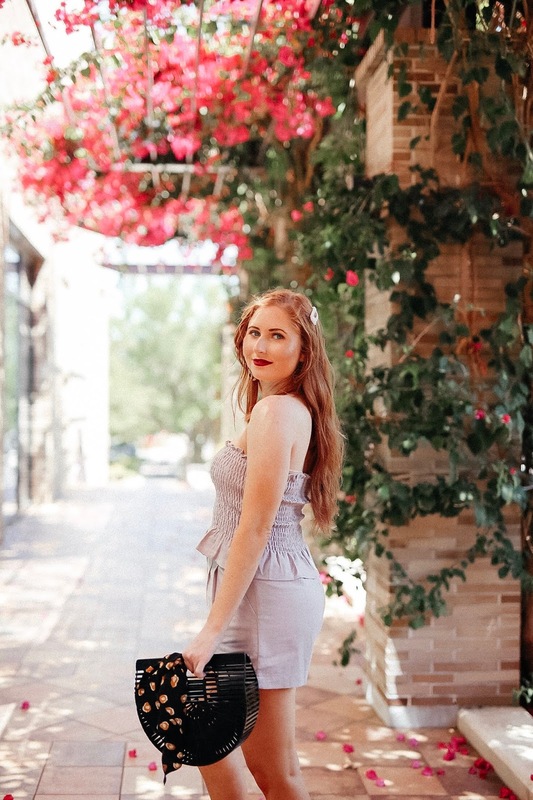 Putting your creative juices out there and really finding your path in the blogging industry takes plenty of time, don't think you can be an instant success in one campaign! I started out doing paid work a few years ago and man oh man has my style transformed over time. However, one campaign at a time has taught me about creating a method that works for me to accomplish the next campaign I take under my belt on time. Each campaign is another opportunity for you to learn from your mistakes, let that be a lesson you take away from this blog post today. This is one trend I've avoided wholeheartedly. Today, I can say that I finally caved. Last weekend started my initial experiment with "Dad Sneakers". I'm in the process of revamping my entire Pinterest account. From deleting and customizing new boards to posting new content, I'm working on updating my Pinterest feed this month. 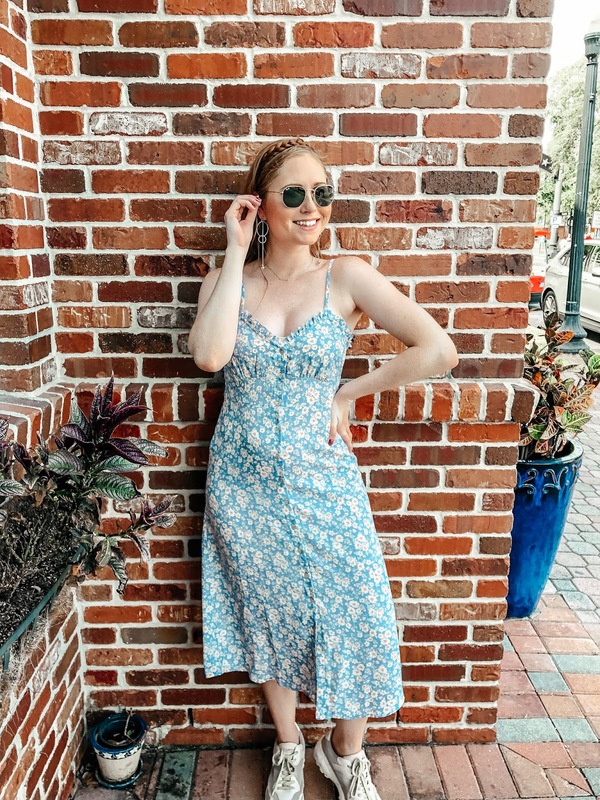 I recently completed Danielle Gervino's Pinterest Challenge and she inspired me to alter the overall health of my current my boards and make an actionable strategy to drive traffic from Pinterest back over to my blog! I am grateful for her advice and I feel like the addition of Tailwind will see my page views soar over the next few months. 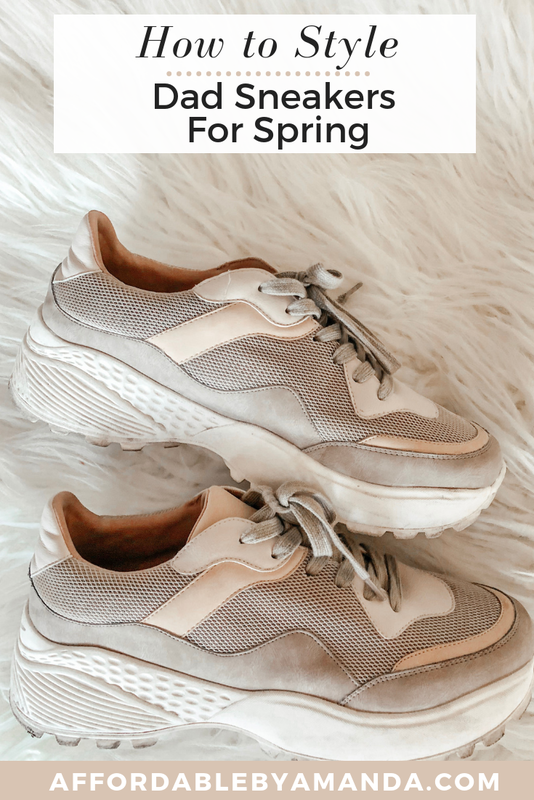 As for spring fashion shoe trends: dad sneakers are on my brain. Lately, dad sneakers have appeared on my feed on multiple bloggers who style them with cute dresses. I never imagined myself to fall for this trend, yet here I am! I am glad to see this trend continue because it also means I can get away with wearing sneakers AND look trendy at the same time. What a win, win! 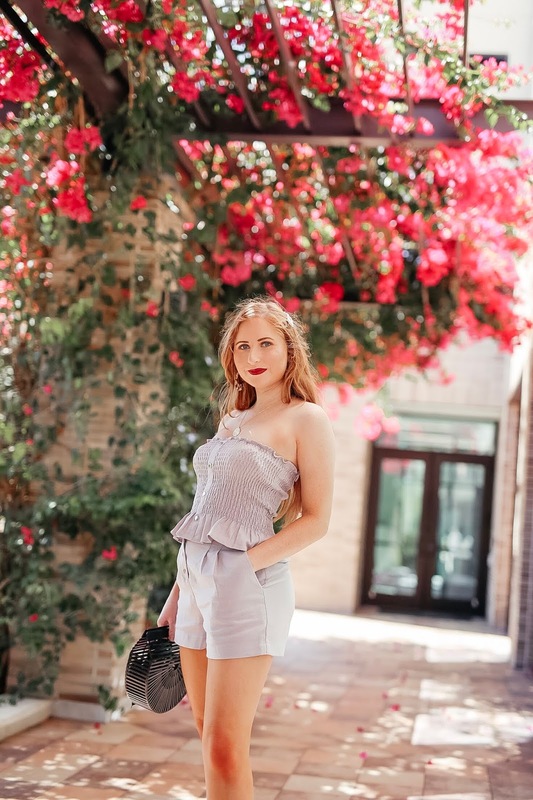 Whether you opt for crisp white pair of chunky Dad sneakers or change things up a little and find a neutral pair with pink tones like mine, be sure to use my look for a little inspiration! Well, since I own a bunch of cute feminine dresses, I finally decided to wear my Target sneakers out in public on Sunday. A little more into my sneakers: they are pink, gray, and white with ties. I knew if I wanted to try out this trend I would have to spend no more than $60 on a pair of sneakers. Thankfully, I stopped into Target just to browse (hehe, never!) and found these in my size. I went with a 10 which fit my feet perfectly, even without socks. These are $25 and also come in black if you feel less adventurous. My friend Laura and I ventured out to Dunedin, Florida for an afternoon of walking and taking outfit photos. We grabbed a bite to eat at a restaurant in town where I ate some tasty chicken curry. I think I've been on a curry kick ever since I returned from Germany! I truly miss the cuisine over there.